Why Do We Need to Compress a Video? As various HD devices develop rapidly, it will result in a great concern while fulfilling your visual enjoyment. The digital raw video files you shot, especially HD videos, are always very large (several gigabytes in size) due to a large amount of data they have to store. Thus, it will be virtually not convenient for video transfer and backup since HD video generally takes up more space on your hard drive or memory/SD card on mobile devices. Besides, large video files are slow to stream online or upload to YouTube or other online video sharing sites, it's not permitted to email as attachment because of the file size limitation. In the circumstances, you may want to reduce video size, aka video compression. And here we show you how to compress video files to smaller size with the best video compressor. The HD video size compressor offers the easy and quick solutions to fix how to compress a video without quality loss. 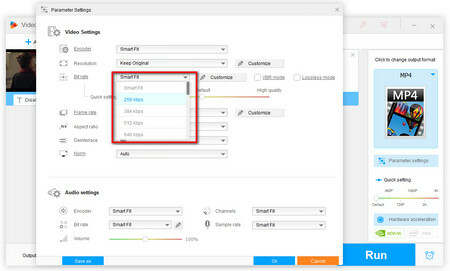 Just use the ready-made options for compressing video files to compress video size at one click so that you can free up device space and stream any videos at faster speed. To compress a video directly and effectively, it’s highly recommended that you rely on a powerful and easy video size compressor. WonderFox HD Video Converter Factory Pro is such an almighty program specialized in diversified HD video solutions, even 4K video compression. With this versatile utility, you don't need to be proficient in any particular glossary and HD video editing skill. It owns built-in optimized presets of 300+ video/audio formats and devices. So you can compress any videos for email, uploading, and storing. 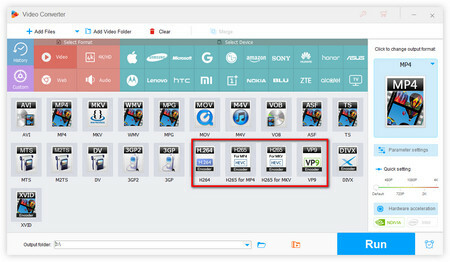 Without exaggerating, HD Video Converter Factory pro can be regarded as one of the best video compression software. The process is easy and straightforward and the following part shows you how to compress a video with the software in 6 ways. Free downloadFree download and install it on your Windows-based computer. Typically, the less pixels a video has, the smaller the video file size will be. So you can lower video resolution to reduce video size. HD Video Converter Factory Pro can make a perfect balance between size and quality. Let’s see how to change video resolution. Step 1. Launch the video file compressor. Open Output Format list on the right, select any output format you desired here. Step 2. Drag the slider along resolution bar to downscale resolution, or click "Settings" button to customize resolution on the new window. Hit Ok to save the settings. Step 3. Hit Run button to finish the conversion. Tips: You are also allowed to convert SD video to HD here. This video size compressor also offers an advanced “Compression Setting” features helping you to solve how to compress video files in one click. Step 1.Just as method 1, you need to run the video compression software and choose an output format. Step 2. After that, click the little box in front of "Compression Setting" as the left picture shows, drag the slider to adjust "Compression Ratio". The slider is more to the right, the video size is smaller. But to ensure a good quality, you’re not supposed to drag it too much to the right. Step 3. Finally, specify an output folder and hit the Run button. HEVC (aka H.265) and VP9 are the advanced video compression standards and successors of H.264 and VP8. They can achieve smaller size with the same video quality. So you can convert HEVC video and VP9 video to compress video. Step 1. The first step is essentially the same as the previous case. Run the software and add your video files. Step 2. Next select the optimized presets for H.265 or VP9 under Video Tab of Output Format list. Step 3. After that, press the Run button. Bit Rate, the amount of data that each second of video uses, can be either Constant Bit Rate (CBR) or Variable Bit Rate (VBR). And it can also affect the size of video. People always choose to change the bit rate to fix how to compress a video. Step 1. 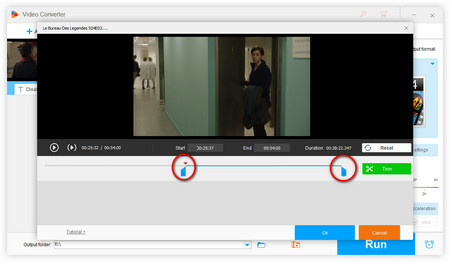 Add the target video files into the video size compressor and choose the desired output format. Step 2. In "Settings" window, you can choose VBR mode to reduce the Bit Rate or choose the lower bit rate from the drop-list. Hit Ok. Step 3. Press the Run button to start the process. Videos are typically shot in 24 or 30 FPS. A variable frame rate will lead to audio sync problem, that's also the common problem of audio video out of sync in HandBrake. 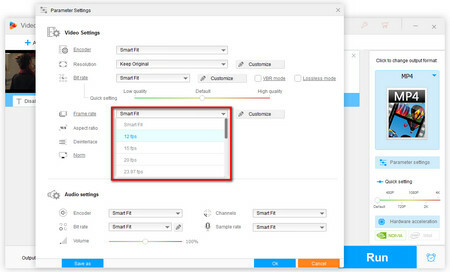 If you shot a video in 60 FPS or higher, go to "Settings" screen and change frame rate to 24 or 30 FPS, which will reduce video size to a large extent. Step 1. Import the video files. Then choose an output format. Step 2. Go to the Setting window and choose 24 or 30FPS and select Ok. Step 3. Finally, hit Run to complete the whole process. You may want to cut and remove those ads or unwanted part in the video, which is also a good way to compress video file. Step 1. 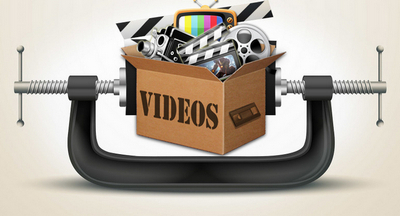 Launch the video compression software and add your videos. Next select an output format. Step 2. Click "scissor" icon to open Clip windows. Then drag the two sliders to cut video, or input start time and end time for fine-tuning. If needed, you can even merge multiple video clips into one. Step 3. 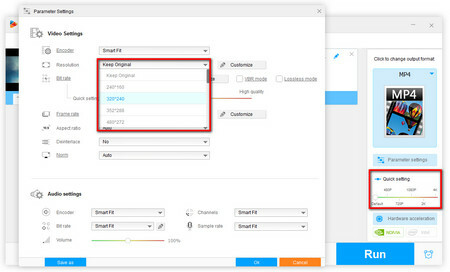 Specify the output path and press Run button to start the video size compression without loss of quality. So look, with this handy video size compressor, compressing video becomes fairly simple and straightforward. There is always a right method for your need. Take a try to fix how to compress a video. Moreover, coming with another practical feature, WonderFox HD Video Converter Factory Pro also enables you to download 4K/8K YouTube video, 360-degree video, VR movie as well as YouTube music download. Now free download the software to start your task. How to Compress Video Files? 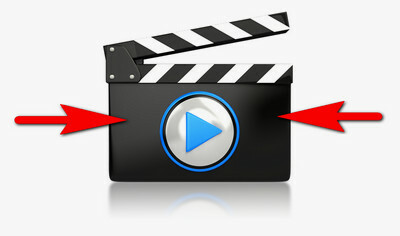 Now you can use HD Video Converter Factory Pro to fulfill your expectations of editing videos. The versatile HD editing software enables you to compress video size, clip/crop/merge videos, convert videos to 300+ formats and popular devices, download videos from YouTube, Facebook, Daily Motion, etc. Convert Video to HD Quality with the Fastest Video Quality Converter The Top 3 Free Online Video Compressors 2018 How to Convert Video to 4K Ultra HD and Convert 4K Video to 1080P, 720P, etc.